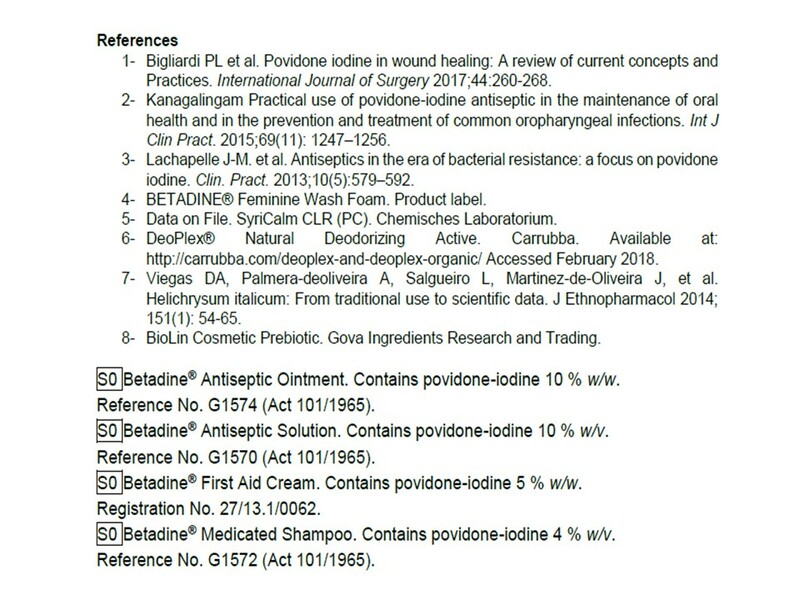 The BETADINE® portfolio comprises a comprehensive range of products in the Wound Care, Oral Care, Scalp Care and Feminine Care categories, which are available over the counter in pharmacies and are used in hospitals. BETADINE® products that contain PVP-I are available in a number of different formulations but all have the same purpose – to provide broad‐spectrum protection and support against infections1-3 – and can be important components in families’ first aid kits and medicine cabinets. Mundipharma South Africa General Manager, Shannon te Roller, said: “Following the establishment of Mundipharma South Africa in 2011, we took back control of the BETADINE® brand in 2014 and have been actively building and expanding the brand since then. The fact that BETADINE® has been voted ‘Product of the Year’ in two categories by consumers is a testament to both the work that we’ve put in and the quality of the products. “Historically, BETADINE® has been recognized as a successful high-quality treatment brand.